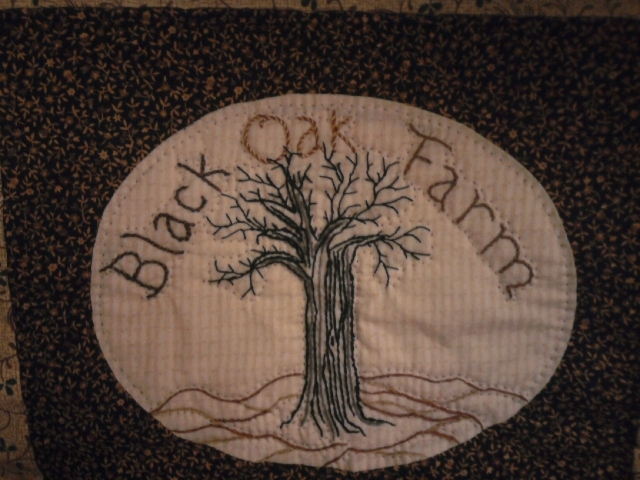 I have been making quilts since 1971, however I have been doing embroidery for much longer, since I was six. I was taught basic stitches by my Mother and Grandmother and continued to learn about embroidery all through high school. At that time crewel was popular and I remember loving all the colors of wool and choosing my favorites to work into small embroidery pieces. 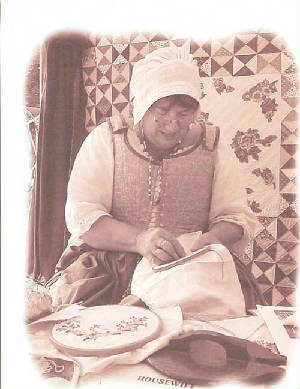 My quilt style evolved through many stages as the popularity of quilting grew along with my own skills. 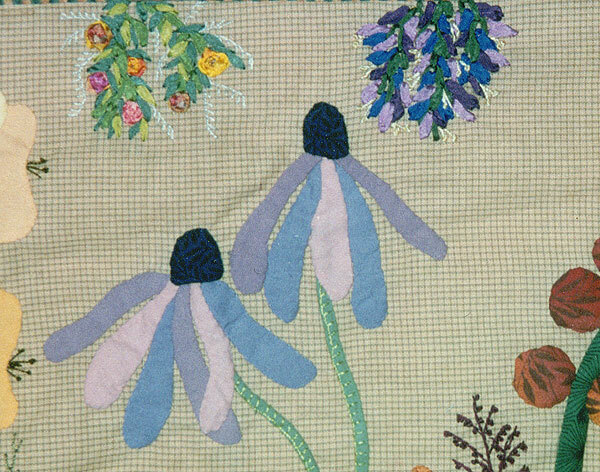 By 1976 the quilt craze was deepening and I suddenly found myself teaching - first basic classes, then specializing in the areas of miniature quilts and finally teaching applique techniques and design. 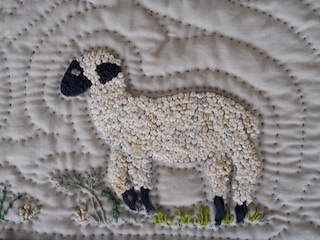 My love of handwork has stayed with me throughout the years and the traditional quilting techniques I learned have blended well with my love of embroidery. 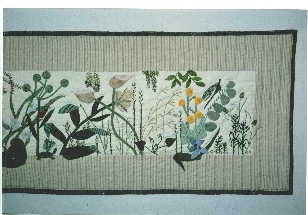 Early on I used embroidery to add details to my quilts then in 1992 I heard about silk ribbon and was intrigued. A friend gave me some to try, and I was soon hooked. 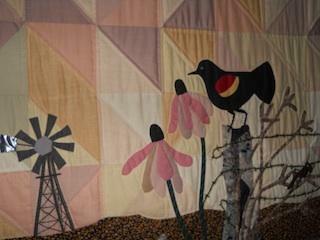 It proved to be the perfect addition to my pictorial prairie quilts and the free-cut applique style I was developing. 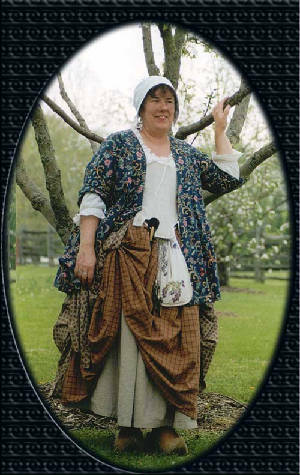 By 1995 I had written a book on silk ribbon, geared especially toward quilters for the American Quilters Society. It is entiteled "Nature, Design & Silk Ribbons" and includes some history and historic uses for silk ribbon. 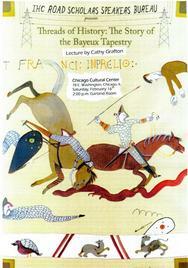 While doing research for this book I developed a slide lecture of all the historic sites I visited in the eastern part of the country, this lecture is called "Cathy's Silk Road". 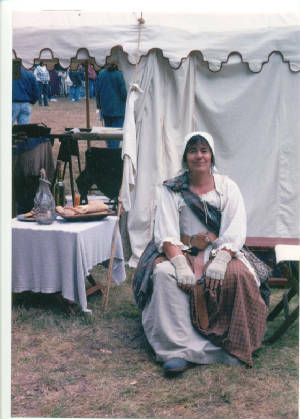 Needlework and my interest in fiber has also blended well with the historic re-enactments that I have been a part of for over 40 years now. While most of the historic festivals I participate in are set in the 18th century - I also do some from the Lewis & Clark Era, one Civil War event. My listing of these events will be updated as I add them, so check back often If you are interested in visiting any of them. 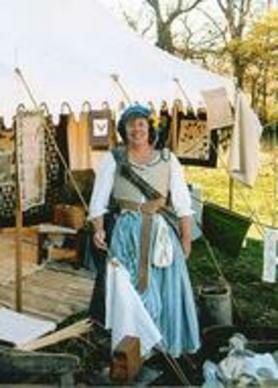 June 22-23 - Old English Faire, Wildlife Prairie Park, IL?